All of us say we want to look better and feel better but are we willing to make the changes that will count? Believe it or not, all it takes are baby steps. Everybody can find some simple, small change in our daily habits that can really change our lives for the better. One great way to get started is with protein bars that are made the right way. Many of us make poor choices in the way that we eat. We’re on the go, our lives are busy, and fast, pre-prepared foods are on the market. We grab something quick at a fast food place, we pop something in the microwave, stick something in the oven that has been frozen in a box, or heat up something else out of a can. These fast and easy foods are generally loaded with everything that is bad for us. Chemicals galore, soaring levels of sodium, sugars, fats, and colouring that is definitely not found anywhere in nature. If we want to feel our best and get the body shape of our fantasies, we can start making conscious decisions about what we eat. It’s time to really think about what goes in to the temples of our bodies. Protein bars, especially those made by 180 Nutrition, are one solution. They’ve been put together by a team of nutritional experts who really know what they are doing. All of the ingredients are completely natural and are based on super foods that are known to be good for us. The gluten, salt and sugar is missing as well. When we snack on something that is healthy and high in protein, our energy levels will go through the roof and our bodies start running more efficiently. 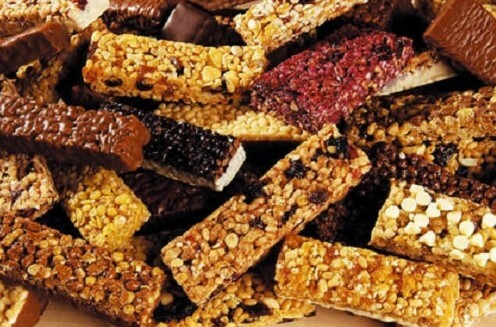 Protein bars are a good choice for breakfast or to have at lunch with fruit and yogurt. Instead of grabbing an unhealthy option between meals, having a protein bar is a wise choice. They make us feel satisfied and keep the system running on maximum capacity. There are other positive changes we can make as well. We can start reading the ingredients when we shop for groceries. It’s time to choose more fresh fruits and vegetables. When it comes to processed foods, we can choose those without additives or artificial ingredients. Everyone would be wise to stay away from the host of diet products that include chemicals. A good rule of thumb is to consider if the ingredients in a product are found in nature. If it doesn’t grow naturally, it doesn’t belong in the body. When we eat well, we’ll feel better. Add some daily exercise and plenty of water and the positive results are absolutely amazing. Remember-baby steps.